The new year began with a new government in Brazil and a new management controlling the national oil and gas company Petróleo Brasileiro. 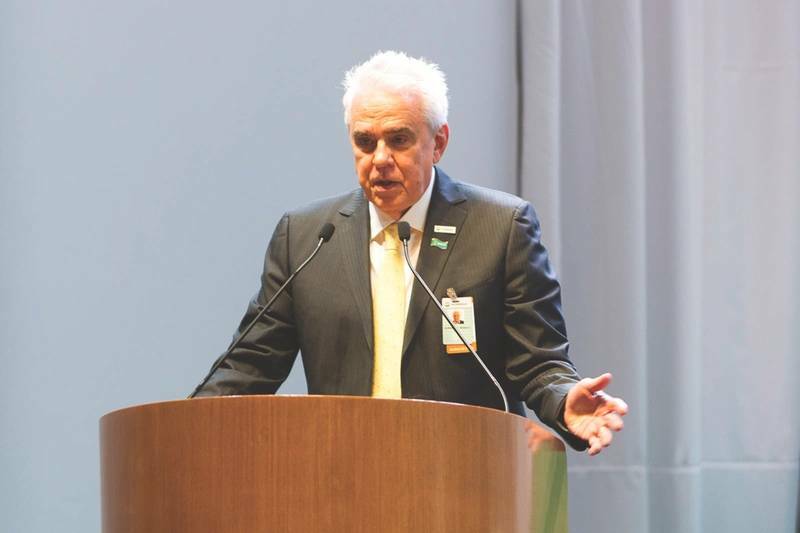 There are changes on the horizon for the company commonly known as Petrobras, but its new president Roberto Castello Branco said during his inauguration speech in January that the company will maintain its focus on the exploration and production of large deepwater oil fields in the pre-salt polygon where it will seek to accelerate the extraction of oil and gas. “Faced with the concern about climate change and the electrification trend, we will accelerate the production of oil so that our reserves have the best possible use,” said Castello Branco, noting that this will be a priority. Under the current business plan, the company’s oil production in Brazil is expected to exceed 2.8 million barrels a day, on average, in 2023. The new chief executive stressed that “what is relevant is to be strong and not to be giant” and declared that monopolies are “inadmissible” in free societies. However, he also said the privatization of the Petrobras holding company is not on the agenda for now. On launching its business and management plan for the next five-year period, Petrobras executives said the plan assumed an average increase of $66 a barrel in 2019, $67 in 2020, $72 in 2021, $75 in 2020, to $75 in 2023. Pertaining to the current business plan approved by the previous management, Castello Branco said that in principle the program is good, but he plans to assess whether changes will be needed. The executive said the company’s strategic vision will include five priorities: portfolio management, minimizing the cost of capital and incessant search for low costs and efficiency, meritocracy, workplace safety and protection of the environment. 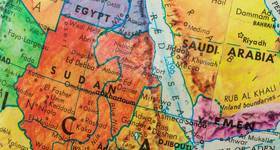 The national operator has earmarked $84 billion in investments between 2019 and 2023. It plans to spend $68.8 billion on its exploration and production (E&P) business, $8.2 billion on refining, transportation and marketing, $5.3 billion on gas and petrochemicals and $400 million on renewable energy sources. The new president indicated that some of these sectors with less investment may be open to foreign competition and/or involve partnerships with the state company, which is in league with the intent of the new Brazilian government. “Partnerships will always be welcomed, especially for the extraordinary opportunity to exchange ideas and experiences,” he said. A majority of funds invested in E&P will emphasize production, notably in the pre-salt where the company plans to boost output by putting an additional 13 floating production, storage and offloading (FPSO) units in production through 2023. It has yet to order seven of them. 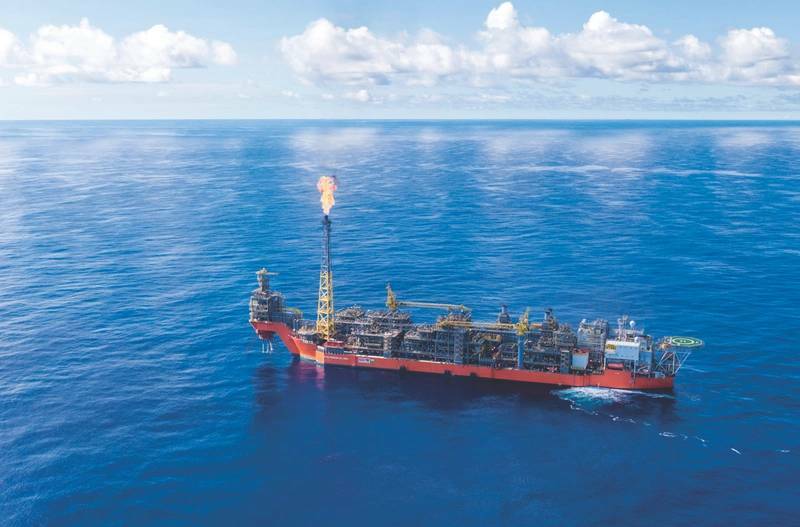 Despite delays in placing some orders, sources with access to the new management are adamant that the outstanding FPSO orders continue to be a priority. Petrobras sources highlighted that E&P continues to be the company’s most important value-generating engine, and the focus remains on the development of deepwater production, where large daily volumes are the norm and where efficient subsea systems linked to the FPSO are vital, with a variety of riser and flowline systems being tested or implemented, depending of the peculiarities of the reservoirs, subsea well dispositions and the number of deepwater wells in the system. Petrobras is aggressively gearing up to increase its oil and gas production, which in November 2018 was pegged at 2.62 million boed, with 2.52 million boed produced in Brazil and 100,000 boed abroad. The total operated production of the company (including Petrobras and partners’ share) was 3.28 million boed, with 3.15 million boed in Brazil. 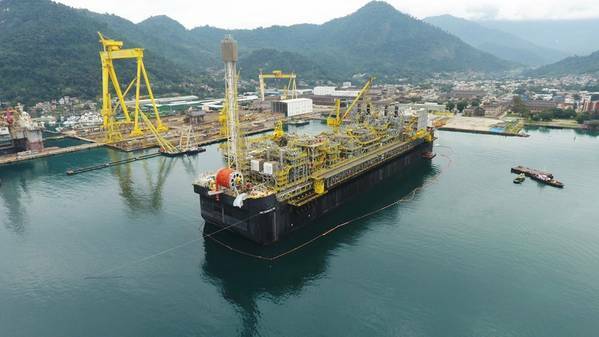 The figures marked a slight reduction from October 2018 mainly due to maintenance stoppages of the FPSO Cidade de Ilhabela, located in the Sapinhoá field, in the Santos Basin pre-salt, and of the platforms P-18 and P-37, located in the Marlim field, in the Campos Basin. Of note in November was the start-up of the P-75 FPSO, the second unit installed in the Búzios field, in the pre-salt of the Santos Basin. It is understood that Petrobras is analyzing a new contracting strategy for its next FPSO vessels to operate in the pre-salt province. Industry sources have stated that the company is considering a switch from the leasing and operating format, which has recently been used for chartering large FPSOs to the Mero and Sepia fields, to the contractual modalities of engineering, procurement and construction (EPC) or build-operate-transfer (BOT). 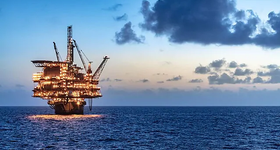 Currently, Petrobras is offering five FPSOs, two for the revitalization of the former Marlim field and one for each of the Mero, Búzios and Parque das Baleias plays under the more traditional leasing and operation model. With this, the company would be guarding against eventual loss of competitiveness. This is because the main players are involved in three bids for FPSO charters promoted by the national operator: Mero 2, Parque das Baleias and Marlim 1 and 2. “There is the possibility that if Petrobras enters the market with one more charter, maybe there may be only one or two players in the Itapu tender,” explained an industry source. In addition to Modec, which has already won the Mero 1 and Sepia contracts, others including SBM, Teekay, MISC, Yinson are potential bidders. Petrobras’ Director of Production & Technology Development, Hugo Repsold, said last year that the company plans to resume contracting its own FPSOs only in the case of units with operations starting in 2023. It remains to be seen if the new administration will keep to that policy, but well-placed sources indicate that a change of policy in this case is unlikely. The Itapu pre-salt play in the Santos Basin, is in 2,000 meters water depth about 200 km from the coast of Rio de Janeiro. 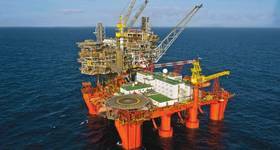 Its in situ volumes of 1.3 billion barrels of oil is a significant volume, yet hardly one of the largest, serving as a good example of the magnitude of even a medium sized pre-salt subsea production system. The current forecast is that the field will produce for 30 years, between 2021 and 2050. The designed production system provides for the connection of five producing wells, two water injectors and two gas injectors. In addition to the injection, the gas can be drained through the pre-salt pipeline network: Route 1 (Caraguatatuba), Route 2 (Cabiúnas) and Route 3 (Comperj, in implantation). The P-75 was the fourth FPSO to be put into production in 2018, after the FPSO Cidade Campos dos Goytacazes in the Tartaruga Verde field, the P-69 in the Lula field and the P-74 in the Búzios field. 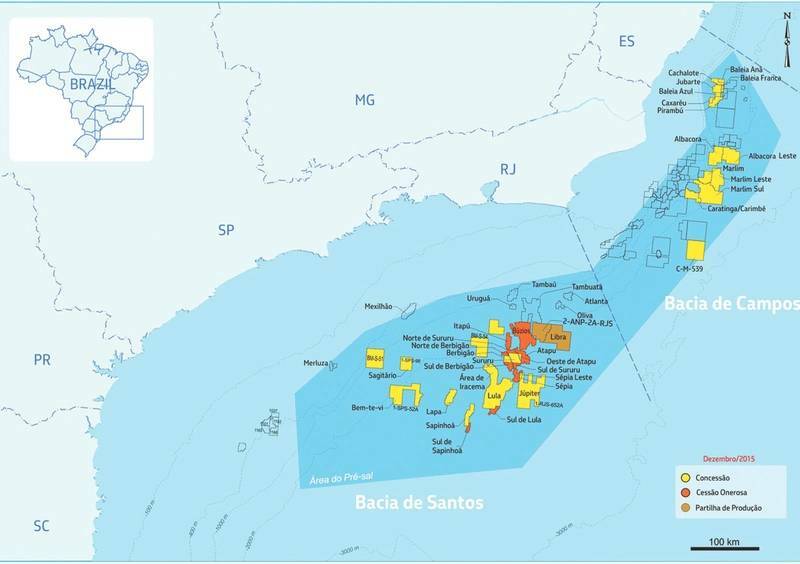 These, together with P-67, which is already in the Lula field lease, and P-76, which went to the Búzios field in December, conclude the six systems planned for 2018 in Brazil contributing to the increase of Petrobras’ production in the horizon of the 2018-2022 business and management plan. The company expects its production to grow by 10% in Brazil and 7% in general, due to the start-up of five new production units in 2018 and another three in 2019. For the period between 2020 and 2023, Petrobras expects total production of oil and natural to grow at an average rate of 5% per year. Petrobras outlined in its 2019-2023 investment plan that it also hopes to continue partnerships and divestitures, where it sees the potential to generate $26 billion over the plan period. “These initiatives, coupled with an estimated cash flow of $114.2 billion, after dividends, taxes and contingencies, will allow Petrobras to invest and reduce its debt without the need for new net borrowing on the debt horizon plan,” said a Petrobras executive in December 2018.